According to the decision membership of the organisation is illegal and carries a prison term of seven years and/or an unspecified fine. The move is the latest in a series of measures designed to cripple the IMN and particularly to prevent it from staging peaceful mass demonstrations in support of its imprisoned leader, Sheikh Ibrahim Zakzaky. The sheikh and his wife Zeenat have been in detention without charge since December last year when they were shot during an army assault on the IMN in Zaria left over 1000 people dead. Sheikh Zakzaky has already lost the use of an arm and one of his eyes and risks losing his sight altogether unless he receives the proper medical attention. The pair are being held mostly incommunicado by Nigeria’s intelligence services (DSS), against due process and in contravention of Nigerian and international law. The irony that the ban is being justified on the grounds of preventing preserving law and order and freedom is not lost on IHRC. 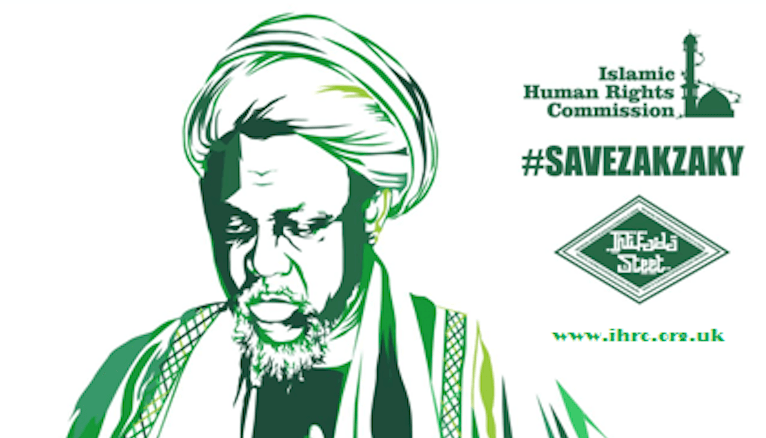 The Declaration Order said that since the massacre in Zaria the IMN “has overtly continued with unlawful processions, obstruction of public highways, unauthorized occupation of public facilities including schools without regard to the rights of other citizens and the public peace and order of the State……..these acts, if allowed to go unchecked will constitute danger to the peace, tranquillity, harmonious coexistence and good governance of Kaduna State”. traditionally holds processions, will provide a legal cover for the authorities to carry out more abuses and violence. military operation outside the chain of command. Earlier this week a federal judge Justice Gabriel Kolawole described the ongoing persecution of the IMN as a national embarrassment. A statement from the Free Zakzaky Movement responding to the ban said that the IMN had always been a peaceful movement that shuns violence. In March 2016 IHRC petitioned the International Criminal Court to to open a preliminary inquiry into the December 2015 massacre of IMN members.